We Continue to Lead the Charge Against the CDOT Plan to Toll the New Lane on I-25. 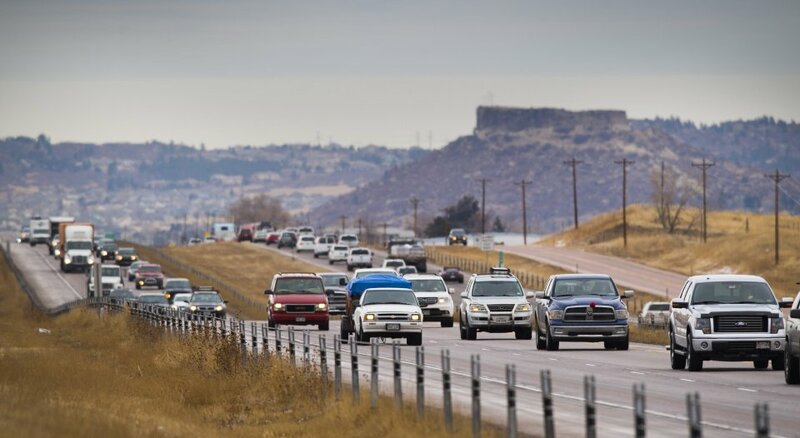 This week the Gazette published our guest column on the I-25 Gap Project. We have led an innovative approach to prevent tolling the third lane and actually develop the road for four lanes. Our column highlights the two victories we’ve already made and identifies a pathway to get another big victory: actually build and stripe the road for four lanes. Still on the subject of roads: We identified another $167 million in the State Budget and offered an amendment to the direct that money to Colorado roads. 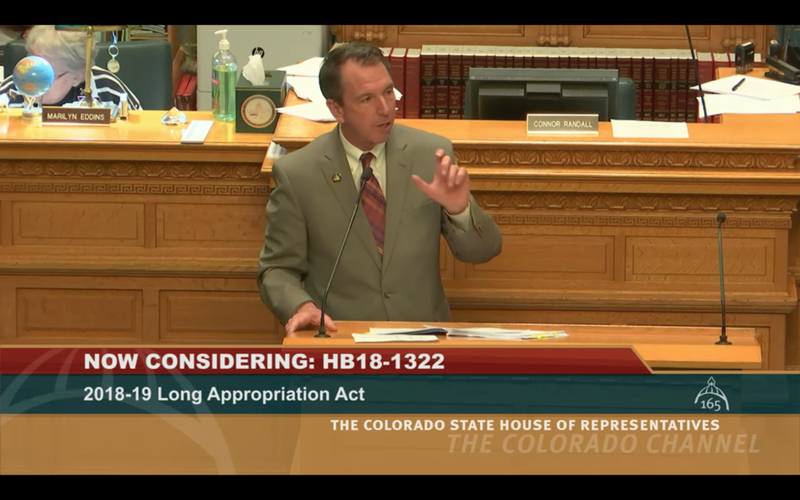 On Thursday, the Colorado House of Representatives passed the $28.9 billion budget bill and sent it to the Senate. The bill passed 42-22 after many hours of debate and defeating several Republican amendments. It is our considered opinion that investments in the infrastructure of our state provide a better return than saving cash in a “rainy day fund.” It’s better to use the money to patch our roof today than it is to save the money to buy buckets to catch the rain water coming through our leaky roof in the future. Several Colorado Springs and Denver TV stations have given our student protection bill HB18-1269 substantial coverage recently. Our bill that requires school districts to notify parents when a district employee has been charged with a crime that is a threat to a child was heard in committee last week. The problem is not new. In the past five years the State Board of Education has revoked licenses from 144 teachers for the types of criminal behaviors addressed in the bill – behavior that could put students at risk. The bill was postponed after a long debate. It will be heard again by the judiciary committee in the coming weeks. Check out some of the coverage here: Denver Post, CBS Denver, and KKTV. Stay tuned for more updates throughout the session. Thank you for your continued support and engagement. Posted on April 10, 2018 by Paul Lundeen.